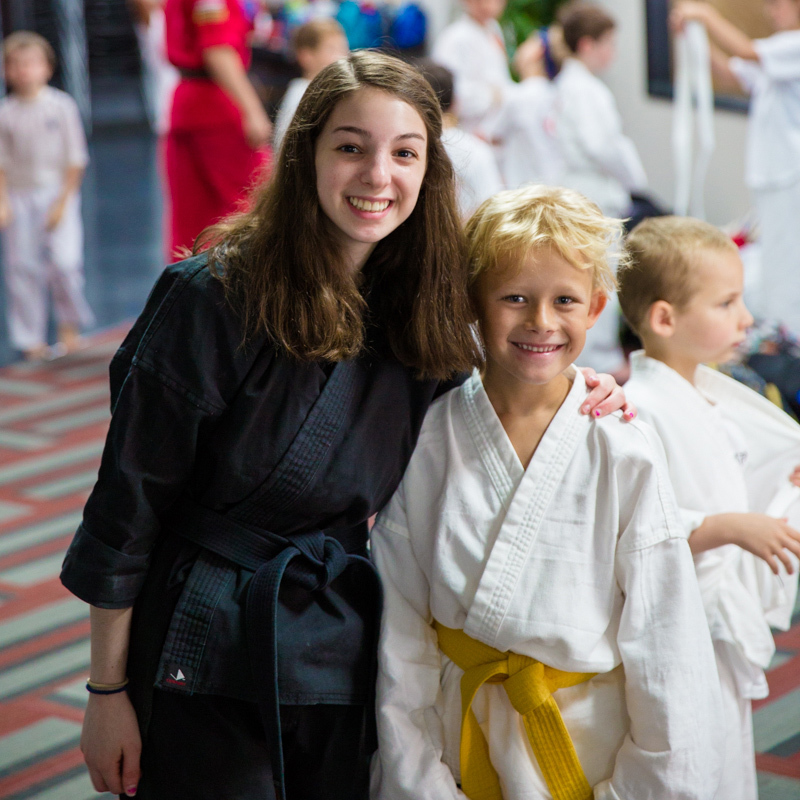 ATLANTA – Do you want your child to learn ‘real world’ self-defense in a safe, fun environment? Gracie Jiu-jitsu is the most complete, effective self-defense system in the world. It is perfect for children when dealing with bullies or other adverse situations they may encounter. It is designed for smaller people against larger people. Learning Jiu-Jitsu is a ‘LIFELONG’ skill. 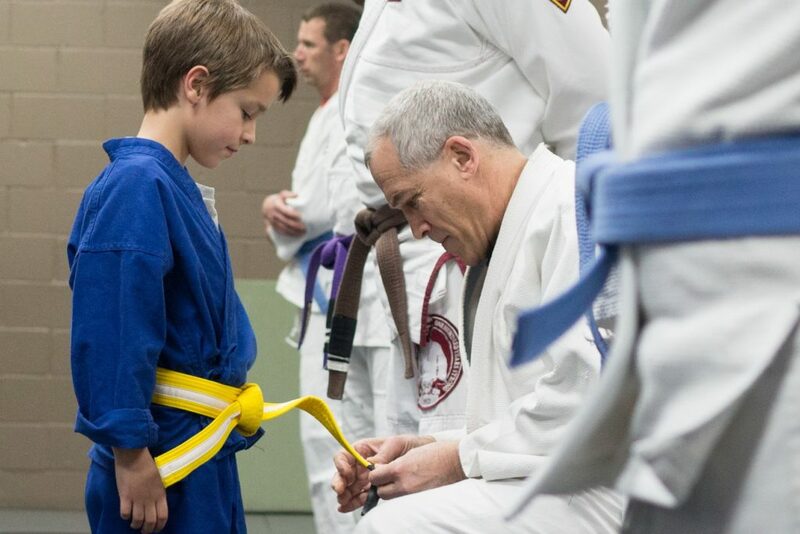 Children progress with a belt system to allow them to hit milestones and advance in rank. It builds a child’s confidence like nothing else can. We believe defusing confrontations and fitting in are basic social skills. Helio Gracie, who weighed only 135 pounds on a good day, designed Gracie Jiu-jitsu (GJJ). It was designed for smaller people against bigger and stronger people. The art is so effective it is now part of the OFFICIAL hand-to-hand combat system used in our MILITARY’s Combatives program. The US Air Force has made Gracie Jiu-jitsu the heart of their women’s self-defense program. See for yourself why children all over the country are practicing and loving Gracie Jiu-jitsu. 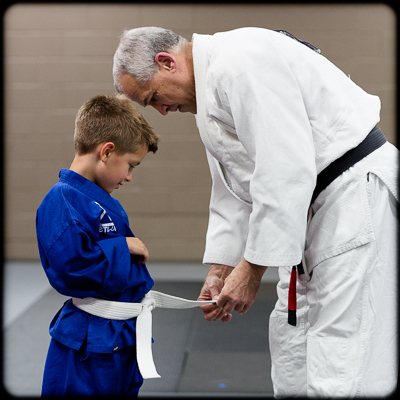 Gracie Jiu jitsu is perfect for children in that it gives them options for defending themselves not available in most martial arts. The children will learn how to survive and overcome in STANDING situations and on the GROUND, without punching or kicking. At the heart, Brazilian Jiu-jitsu is a grappling art, but it starts standing up. It is no wonder that the most effective anti bullying approaches are based on Gracie Jiu-jitsu. For children, we create fun, structured classes led by experienced instructors with Steve Brown as the chief instructor. Consistent feedback from parents shows an improvement in concentration, discipline and yes, grades. The children develop a higher level of SELF CONFIDENCE as they learn how to effectively defend themselves and survive situations traditional martial arts don’t prepare them for. We teach them how to avoid fights and only use a physical response as the last resort. Stronger Bodies, Better Grades, Get Bully Proofed! 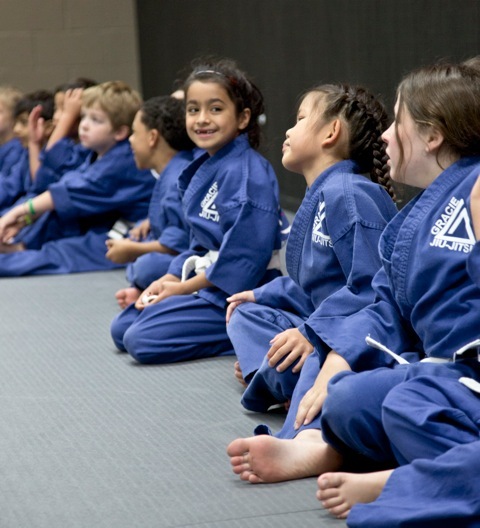 Little Tigers (ages 4-6): Using games and age appropriate Jiu-Jitsu techniques, this class builds a child’s confidence, core strength, focus and ability to learn. Parents almost universally notice the increase in overall strength in a very short time. 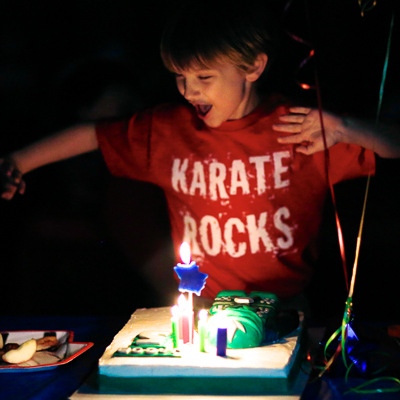 It is an active class that gives the little ones a great workout in which we use positive encouragement and praise. They will learn the basics of jiu-jitsu while having a great time. 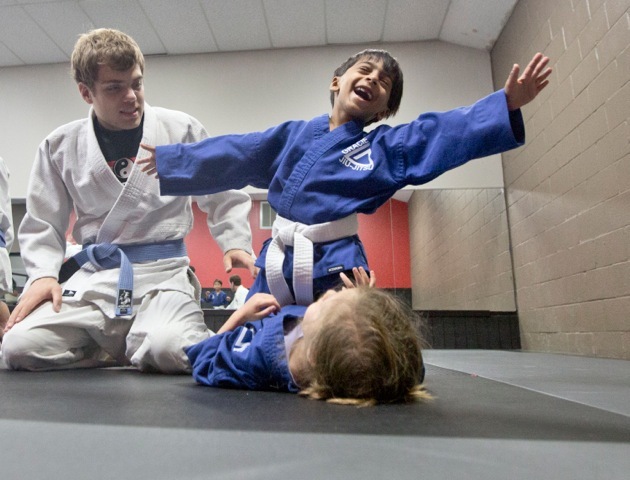 Little Grapplers (ages 7-12): Children gain the mental and physical benefits of Jiu-jitsu training and begin to focus even more on the proper execution of the techniques. Using games, simplified techniques from the adult curriculum, and lots of drills, this class provides a physically and mentally challenging workout using positive encouragement. Our high ratio of instructors to students allow our students to learn more quickly due to individualized attention and proven teaching methods. A VERY high teacher-student ratio…the best in town! SAFE, SAFE, SAFE and FUN, FUN, FUN! Steve Brown has been a friend and training partner to Joey Imperatori since 1980. Steve has an extensive background in martial arts and instruction, including boxing, kickboxing, karate and Gracie Jiu-Jitsu (Steve studied GJJ under 4th Degree Gracie Black Belt Eddie Camden. Steve was presented his black belt by GJJ and UFC legend Royce Gracie). His style of instruction always emphasizes safety and support among practitioners. Joey gives his strongest endorsement of Steve and his Jiu-Jitsu program. To learn more about Steve and Joey, click HERE.